I know exactly what you’re thinking. Where have I been the past two weeks?! Well, I have been trying to figure out what direction I want my blog to head. While participating in the Disney College Program, I was constantly doing new things and didn’t have to think about what to write about. The words just flew off of my fingertips. After coming down from my Disney high, I realized my life back home isn’t nearly as exciting to me to always blog about. I absolutely love reading blogs. Every morning I look forward to reading new blog posts from blogs like Peanut Butter Fingers, Carrots ‘N’ Cake, The Lauren Elizabeth and Cupcakes and Cashmere. These distinguished bloggers create new, fresh content at least once a day. I always read those blogs (and a handful more) every single weekday. Needless to say, I have a blog-reading addiction. I am inspired by these bloggers and feel like I know them. That’s part of blogging – well, depending on the focus of the content. I like that. Each of these ladies has a different focus, and that’s what makes each blog unique. They also seem to genuinely enjoy blogging. That is exactly what I want to convey with my blog. A few of the blogs have a “Blogger Series” of tips, and they all recommend blogging about a topic you thoroughly enjoy. The blogger should want to read her blog! 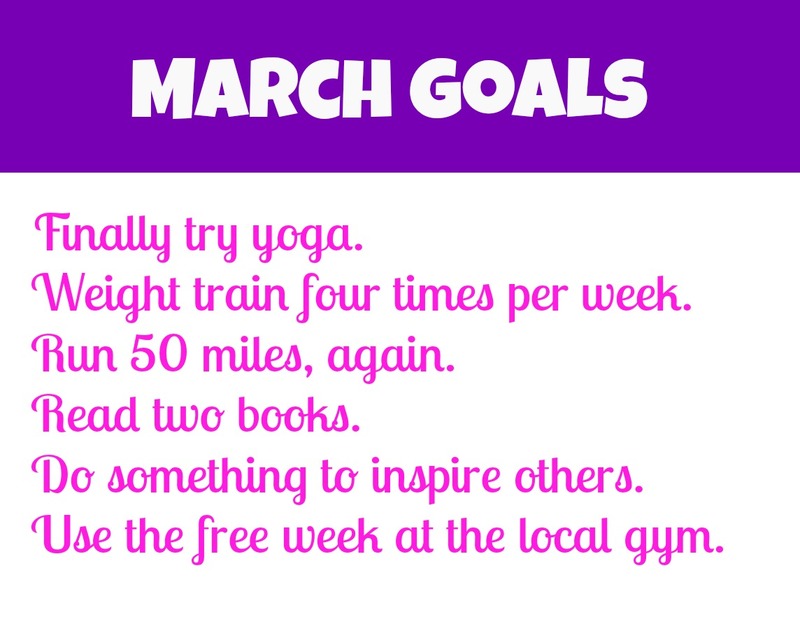 I really liked posting my February goals. While I didn’t complete all of them, I was certainly more motivated after making them public. This month, I WILL be able to cross of each goal. I’m not sure how I will complete the “do something to inspire others,” but that’s part of the fun! How have you been inspired by others? What is your favorite blog to read?